It’s not a top-secret that most people find the idea of a website popup annoying and frustrating. This is because they’re not well-constructed and are not smartly used. On the other hand, it’s a known fact that the website popups can have a huge impact in the development of your eCommerce business. The chief idea is about using them correctly and constructing them smartly enough to convert more customers and increase your income. There are many details and aspects you should consider adding a website popup on your website. 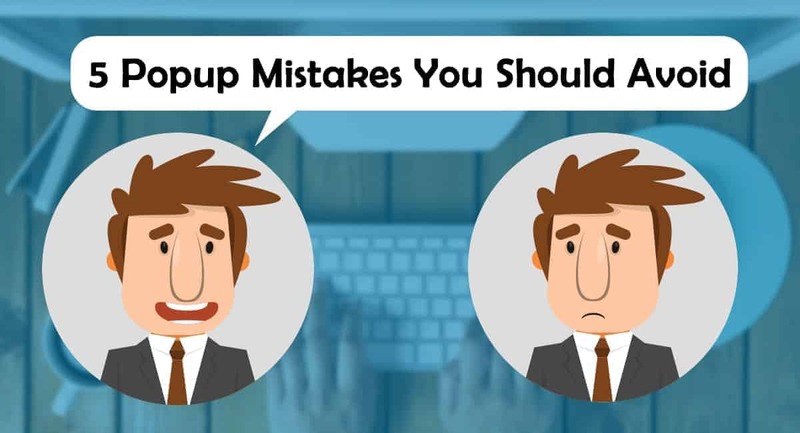 Mistakes in the usage of the website popups may be crucial to your business and website. It’s better not to have a popup on your website rather than have it used in a wrong way. Let’s check some major website popup mistakes and find ways to avoid them and get more customers! You should have something to offer your visitors when asking them to subscribe to your newsletter and provide their emails. No one is eager to subscribe to your newsletter if they gain nothing as a result. You need to have interesting and encouraging promotions so they will be keen on subscribing to your newsletter. Let’s say you show a Subscription popup, which is just a form asking them to subscribe. This is not encouraging, is it? People will simply close the website popup and deny your promotion to subscribe as they’ll think, “What will this give me?”. So what shall you do in this case? Popups triggered on exit intent are generally very useful and almost not frustrating. But, again, you should now how to use them to have profit as a result. Do not show an exit popup every time a user tries to leave your site – this can be annoying. Do not show the website popup on all your pages. It’s better to show it on your product pages, to get their attention and make them complete a purchase before leaving the site. That’s why you should think deeper before adding an exit popup to your website. A great solution would be showing a fascinating offer that would not make the visitor angry for disturbing them. No matter how beautifully and attractive your website popup is designed, it shouldn’t contain too much content. This can make users get bored and they won’t be interested in checking the content of your popup. If a website popup opens up with a lot of unclear content, no one will read it and you won’t get the result you desire. 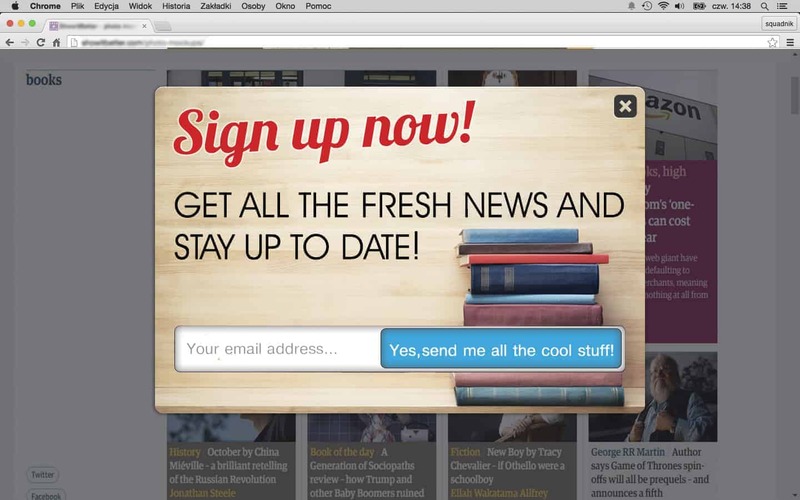 Let’s say you have a subscription popup, asking your visitors to subscribe to your newsletter. A visitor should know why he/she is subscribing to your newsletter. So, if you simply show a form and suggest them to subscribe to your newsletter, the possibility of getting them subscribed is very little. And, in the other hand, if you include some major piece of info about your website and your offer in your website popup, and then the form for them to subscribe, this could be as useless as the one with just the form. So what to do to make the visitors to subscribe to your newsletter? You should know when exactly is the perfect moment to show the website popup to your visitors. If you show the popup too soon, let’s say when a visitor just lands on your website and haven’t had time to look around and check if there’s something on your site interesting for him/her, this will definitely irritate them. Set a time delay, or add the website popup on your shop pages, not the home page. 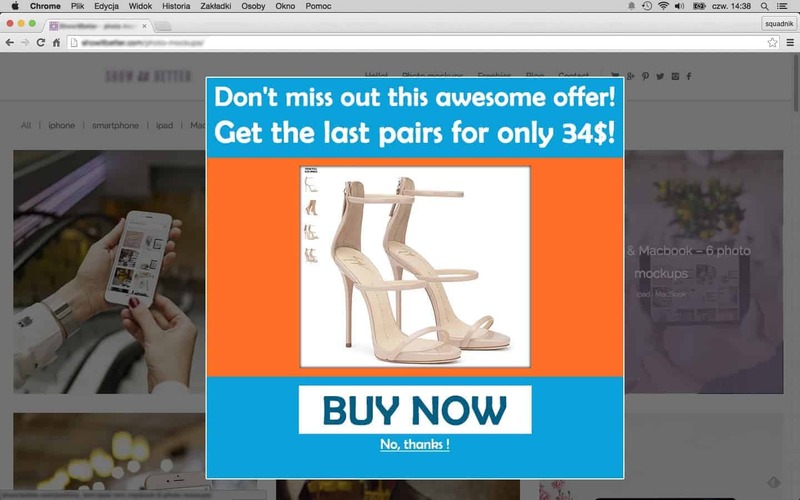 So you can be sure, the visitor has managed to get the idea and check the items on your website before he/she sees your offer in the popup. You may have perfect offers, profitable for both, you and your customers, but if you show them not on time, the results may not be as you expected. 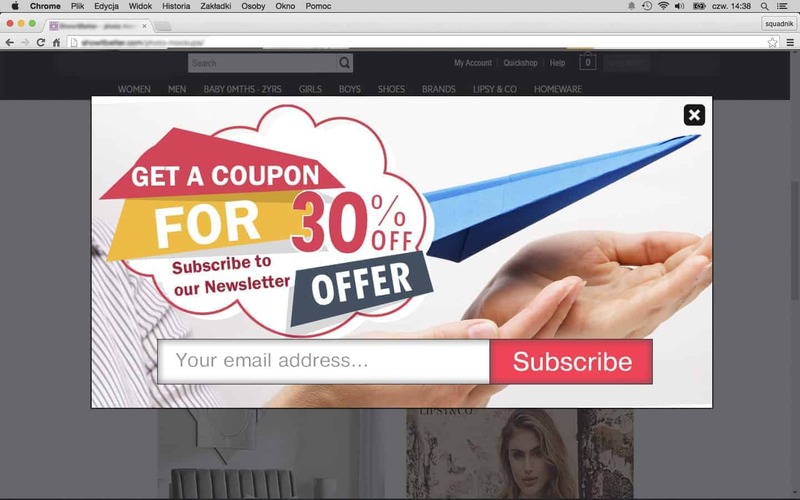 For example,you can show a website popup, offering a discount for one item, whatever they wish. You should wait a bit, to make sure they have had time to see your products and know on which product to use their discount coupon. Set 1 minute delay for opening the website popup. This is enough for the visitors to manage to check at list some items on your site and pick some of them in their minds. This is the very time for the popup to appear and display your lucky offer! Always keep in mind that your customers should have choice! Do not be insistent and let them be free in their choice. If you want them to rate your products or your service, be smarter and let them decide whether to rate you or not. Of course, providing your customers an opportunity to rate you, sharing their experience and opinion about your service, is always a good idea. This makes you more engaged with your customers and makes them trust the quality of your service even more. 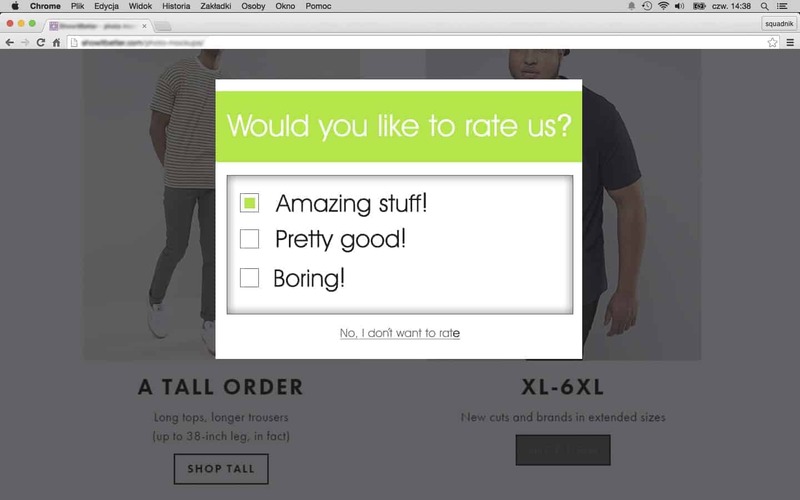 But, deciding to show a website popup asking customers to rate you, it would be good to provide another option, like “No, thanks, I don’t want to rate!” As, there are cases that they just don’t find it necessary to rate the product/service at that moment. 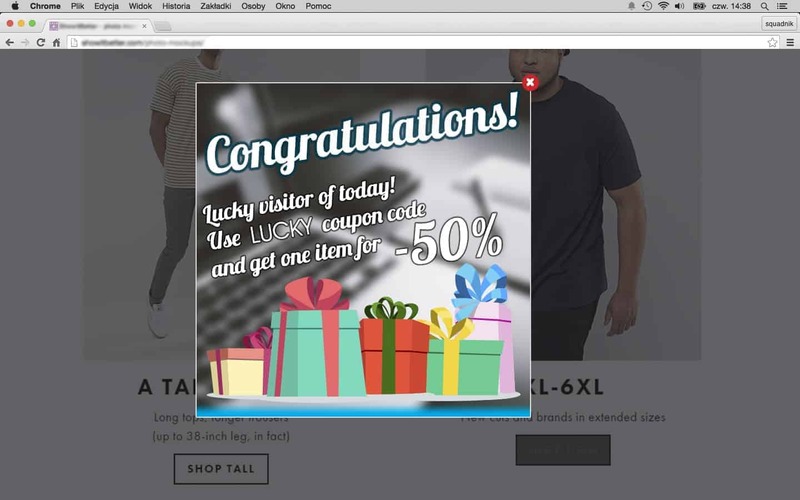 Previous Post:Popup Maker – Mailchimp Integration Released! Next Post:Popup Maker – Shopify Popup App Released!